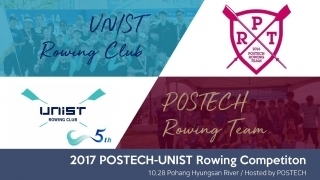 The 2nd UNIST-POSTECH Friendly rowing competition is scheduled to be held on Saturday, September 29 at Taehwa River, Ulsan. Below is the link to a pre-event survey for those who wish to attend the event. 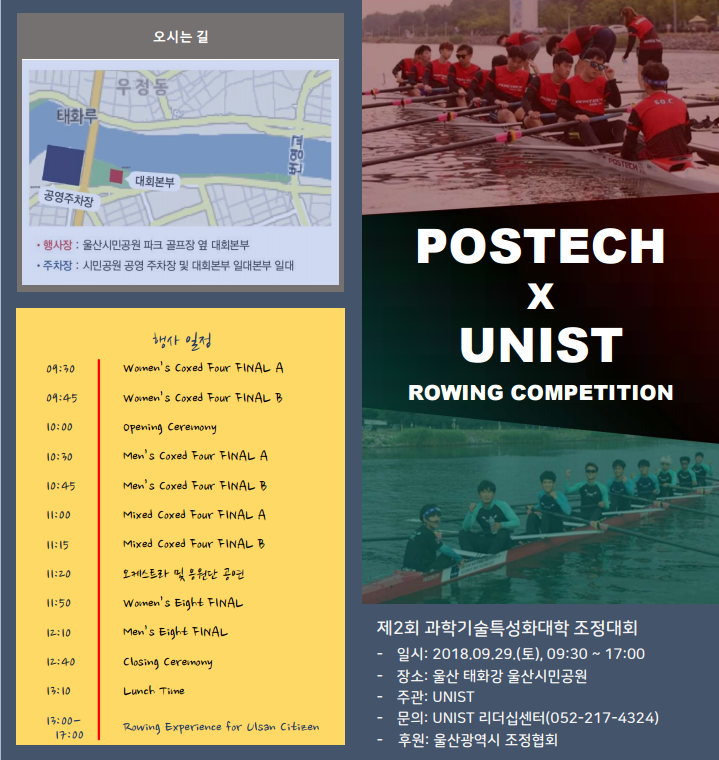 For more details, please contact UNIST Leadership Center (052-217-4324).